C3YoYoDesign has a new model launching this weekend at the Terengganu Regional YoYo Contest this weekend in Malaysia, an updated version of last year’s Di Base yoyo. No word on price, but full specs are below. Once DiBase released in 2012, It became one of the most popular beginner metals. Solid movement and it’s undersized 52mm diameter provide a comfortable hand grip feeling. To carry on the good name of DiBase, DiBase2 will set a new stand for beginner metal! DiBase2 has a new weight distribution which provide a better performance either on spinning time and horizontal tricks. First release of DiBase2 “TRYC” edition will release in TRYC Contest this weekend! Peter Pong Si Yee rips through a solid minute and a half of tricks in one clean take in this new product video for C3YoYoDesign‘s Alpha Crash. More goodness from this quality Hong Kong-based company! C3YoYoDesign has now released four Finger Spin tutorials by new team member Ethan Wong Wing Hang…check ’em out! C3YoYoDesign has expanded their team again with the addition of Ethan “MoMo” Wong Wing Hang from Hong Kong. Ethan’s addition to team comes with the simultaneous announcement of his signature model, the MO-vitation, featuring a special hub area for his trademark finger spin moves. 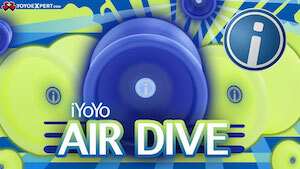 Check out the tutorial below, and congrats to Ethan and C3YoYoDesign! All-around awesome Hungarian player David Molnar is the newest addition to C3yoyodesign’s team! David is the 2011 3A and 5A European Champion, and was a runner-up at this year’s continental championship! Definitely an exciting addition to the incredibly strong team at C3!